modmove | Expressions Dance Company presents 4Seasons – a triple bill world premiere work that will be nothing short of extraordinary! Expressions Dance Company presents 4Seasons – a triple bill world premiere work that will be nothing short of extraordinary! After opening in Hong Kong last week, Queensland’s critically acclaimed Expressions Dance Company (EDC) and Hong Kong’s City Contemporary Dance Company (CCDC) present the Australian premiere of 4Seasons at QPAC. This compelling triple bill features new contemporary dance works by Natalie Weir (Artistic Director, EDC), Dominic Wong (Assistant Artistic Director, CCDC) and Helpmann Award winning choreographer Kristina Chan and brings together 20 dancers from the EDC and CCDC ensembles for a truly international collaboration. PLUS, the works is ingenuously choreographed to Vivaldi’s The Four Seasons and mashed up with composer Max Richter’s own take on the legendary music suite. Under the leadership of Artistic Director Natalie Weir, EDC has become one of Australia’s most innovative contemporary dance companies creating memorable narrative works that resonate with local and international audiences. Weir’s much loved signature works including When Time Stops, where the heart is and R&J have been recognised through major dance awards and nominations. 2018 marks Weir’s 10th year with EDC. Her time with the company has seen EDC focus on bold international collaborations, particularly with Chinese dance makers. Weir said she is thrilled to build on the collaborative exchange of culture and dance with CCDC to present 4Seasons. Kristina Chan, a multi award winning Sydney based dancer and choreographer will also create a new work for 4Seasons. 4Seasons is presented as part of EDC’s five-year Chinese Australian Dance Exchange Project, a major collaboration involving 3 high profile Chinese dance companies working with EDC to develop culturally significant and ambitious new contemporary dance works in Australia and China and provide vital opportunities for dancers and choreographers to deepen their practice. 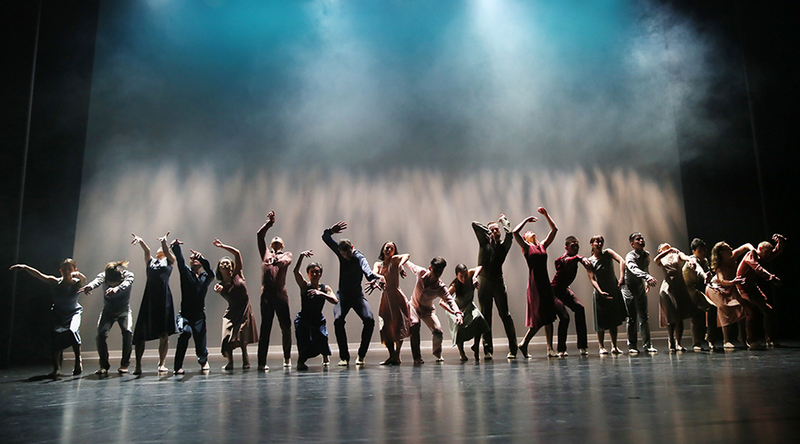 Featuring moments from celebrated minimalist composer Max Richter (Woolf Works, The Royal Ballet) melded with Vivaldi’s the Four Seasons, this uplifting triple bill brings sublime choreography, dance, music and lighting to the stage. 4Seasons will premiere in Hong Kong on the 1st of June before coming to QPAC’s Playhouse Theatre from 14 – 22 June. Following the Brisbane season the production tours to the Darwin Entertainment Centre (29 – 30 June).